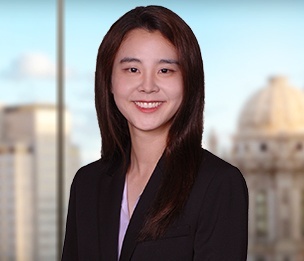 So Young (Anna) Lee is an associate attorney in Dykema's Chicago Office where she focuses on business and commercial litigation. Ms. Lee graduated from Chicago-Kent College of Law in May 2018. While in law school, Ms. Lee was an honors scholar and received a full-tuition law school scholarship. She was also a member of the Chicago-Kent Moot Court Honors Society. Ms. Lee has experience working in the chambers of Judge Franklin U. Valderrama of the State of Illinois, Cook County Circuit Court, Chancery Division.